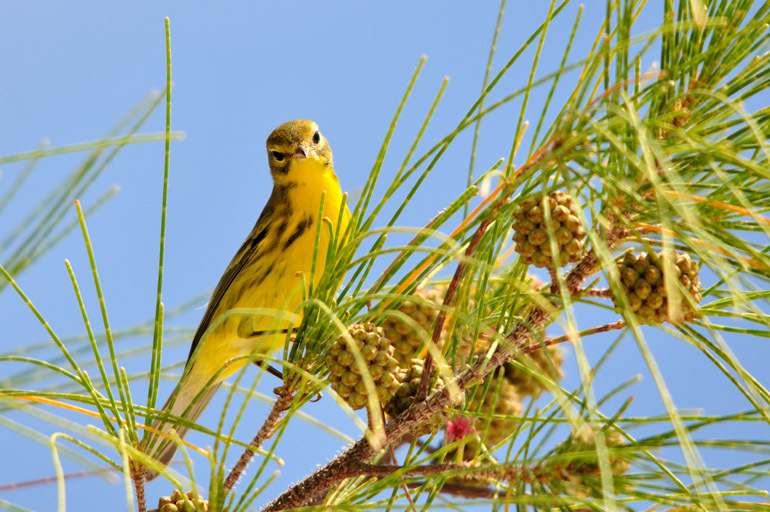 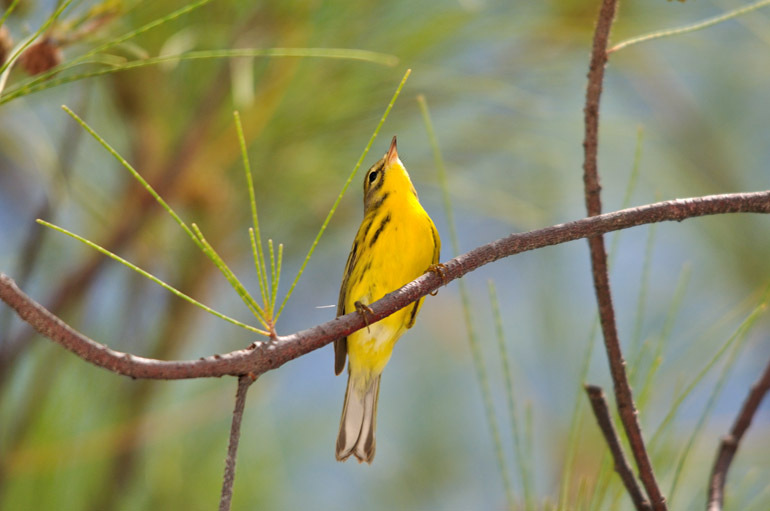 After shooting a raccoon on the Sunday morning of my Florida Keys vacation, I noticed a few of these yellow prairie warblers browsing for bugs in a pine tree on Smathers Beach in Key West. When there's nothing obvious, such as surfers on large waves, to photograph, I often get skeptical glances when I'm on the beach with a large camera lens. 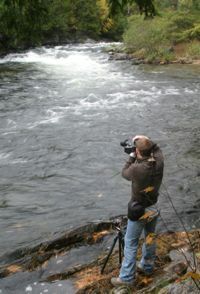 But I tried to stay focused on the birds rather than the swimmers who were enjoying warm water with little surf at all.